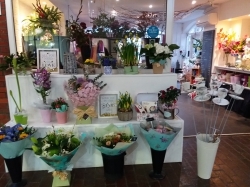 A modern Florist, run by professional staff. We pride ourselves on creating your vision. 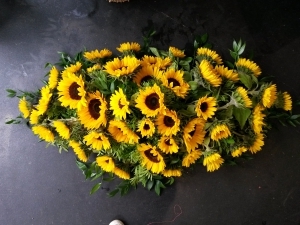 We make every aspect of floristry, and love the challenge of designing something personal to you. 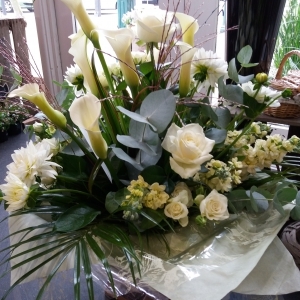 We have a wide range of fresh and silk flowers in store, and a scrummy chocolate range to compliment your order. 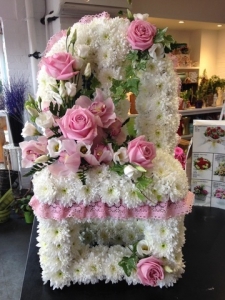 At flowers of Eastbourne we have over 25 years experience. We love to design bespoke orders, and feel passionate about all our work that goes out. 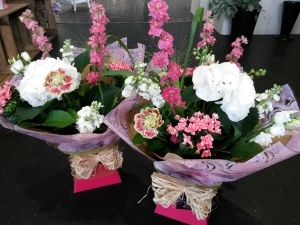 We have a stunning range of plants and containers, and also stock some house ware goods such as candles, lanterns and vases. We are situated in a small town called Eastbourne, in a busy Shopping Centre. 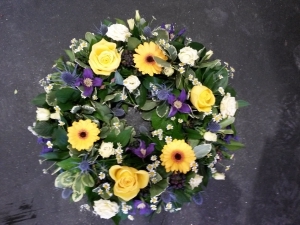 We deliver to local undertakers, Theatres and Hospitals. Excellent flowers and on time! Ordered for my sister. She loved them! Thank you very much. 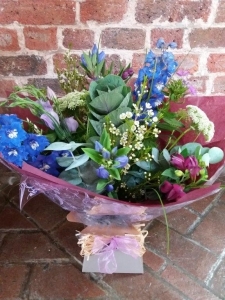 Its the first time i have had to send flowers overseas, my friend recommended u &amp; the delivery arrived intact, on time &amp; prettier than the pic on the internet..
Beautiful summer mix. Country garden selection. 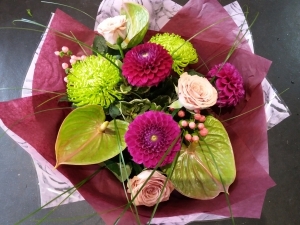 A modern style Aqua, which features the exotic Anthurium flowers. 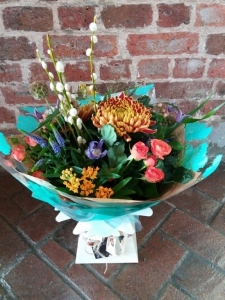 A vibrant mix of seasonal flowers. Perfect for any occasion. 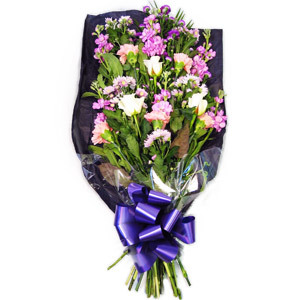 Luxury Calla Lily and choice flower Aqua bouquet. A blushing Aqua in shades of pink. 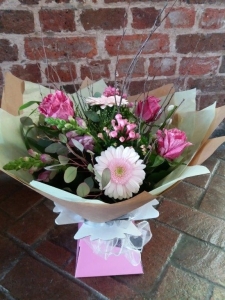 A beautiful mix of fresh, seasonal flowers. 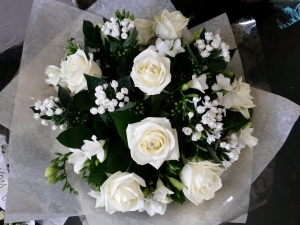 A stunning aqua bouquet of white Roses and flowers. 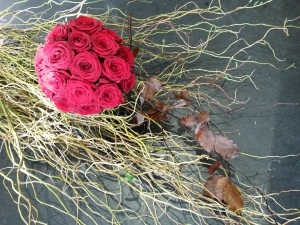 A romantic, red rose hand tied posy. 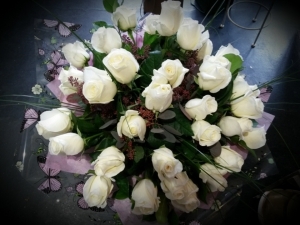 Thirty White Rose, finished with love. 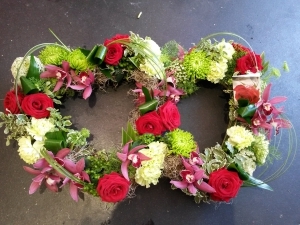 A pretty wreath with Germini and Roses. 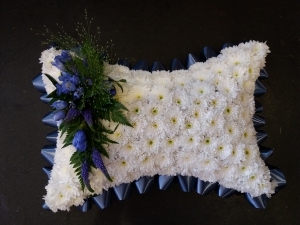 Pretty funeral tribute, with a warm sentiment.